Don’t look ahead too far; it’s Monday. You may have a crazy week ahead of you with work, school and life but remain calm and focused. Write down a goal(s) or items you wish to achieve each today on a piece of paper (or on a nifty advanced piece of technology, but I prefer the good ole’ pin and paper when it comes to goal and tasks setting myself) and keep it on you at all times today. Refer back to this piece of paper frequently throughout the day to keep you focused on the tasks at hand and to check off your completed objective (there’s a nice sense of achievement when you check off things letting you know you are making progress to desired outcome). Chasing these daily, smaller-tasks or small rocks will get you too the end of the week, and if you follow this routine long and consistently enough, you can start to achieve your long-term goals, or bigger rocks. Practicing daily goal setting also helps relive anxiety,pressure and stress so you won’t feel as overwhelmed by daily or weekly to-dos, which can cause someone to focus on too many things at once, or not at all, both of which are not ideal for productivity. So let’s make a heck of a productive week together! What’s on your list for today?? You’ve made it to the weekend. You’ve put 5 good workouts in this week; despite work, kids and life. You’ve been overstretched a little, or maybe a lot. with your responsibilities and you are ready to unwind for the weekend. Just remember that fitness and living a healthy lifestyle that gets you to your goals does NOT stop at the gym or Friday. There’s a 168 hours in a week; you committed 5 or so this week to fitness and burning calories. Just make sure that what you do OUTSIDE of the gym is reflecting the goals you’re looking to achieving INSIDE the gym! It’s okay to relax and enjoy yourself. Just do so in MODERATION. Find that balance in your life between hard work, and “letting go” <- frozen style. Why am I going to the gym? Why do I invest the time, money and energy to get to a gym 5 days a week? Why are these “goals” I have (hopefully written down somewhere in clear sight so you can see it each day) important to me? Ask yourselves these questions and let it be a barometer in the decisions you make this weekend and I PROMISE you, come Monday morning, whether it’s Chest or Leg day for you, you’ll be feeling and looking much better because of it! Okay, so the title of my blog sounds a bit paradoxical, or hypocritical, but give me a minute or two to explain myself. Wow!!! Maybe those numbers don’t rock your world like mine just yet, so let me put this into perspective based on a 160 lb person. Now take those numbers from line #2 and imagine that , but stretched out over a course of a several thousand times, like during a typical 2-3 mile run. Now you catch my drift. I just wanted to explain that if weight loss is your goal, there is much more effective ways to reduce body fat, build muscle and strengthen our bodies other than wrenching your ankle, knee and hip joints to the max; as in circuit or metabolic training. Hope you enjoyed the food for thought. 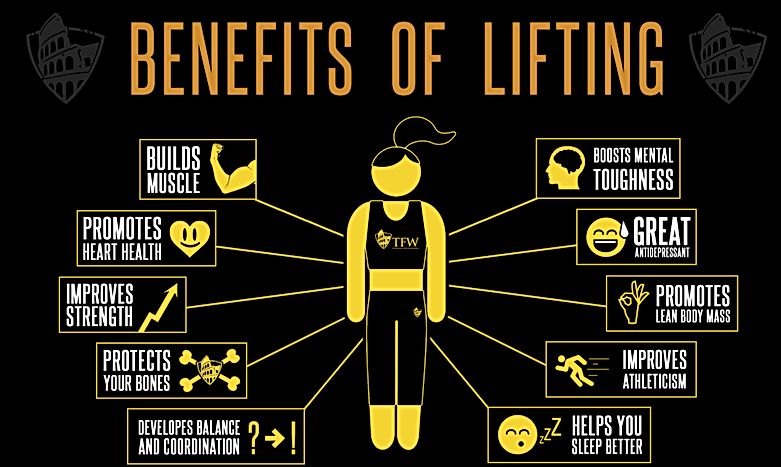 Happy lifting!! Biomechanical Basis of Human Movement. Baltimore, MD: Williams & Wilkins; 1995.